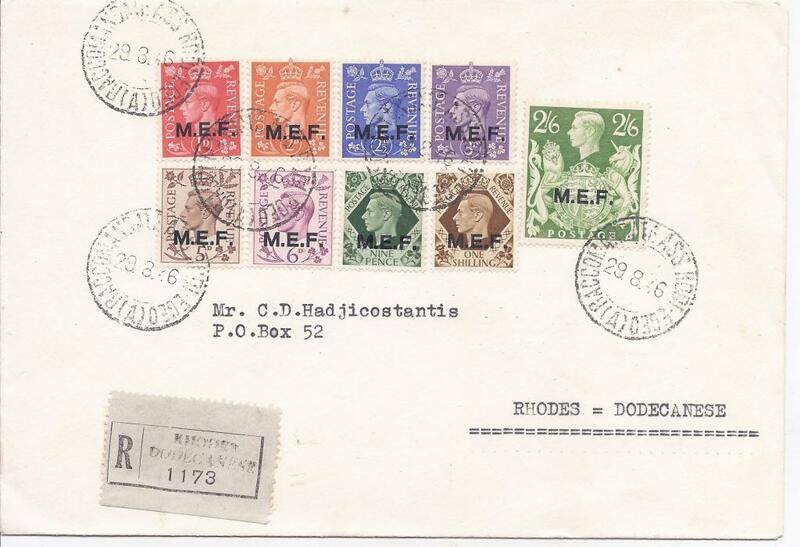 (Rhodes) 1946 (29.8.) registered cover bearing short set to 2/6d. tied Italian Rodi Egeo cds, Rhodes Dodecanese handstamped registration label.